This post shows you how we deal with the specialised needs of our clients taking you through a day in our (project based) lives. A market leading company with high standards in all aspects of processing and maintenance of their plant. One of the most common challenges we come across is related to time constraints, that is, the time available for preparation and application. In this particular situation we were limited to weekends and nights only, as any preparation or maintenance work on any given week day would interfere with normal working hours and business production. In this case we found that the ceiling spaces low temperature had caused moisture from condensation which made cleaning, surface prepa­ration and painting more difficult. However, the confined spaces in the ceiling required the same level of cleaning and painting attention as the other production areas. Shortcuts because of difficulty, is never an option for us. 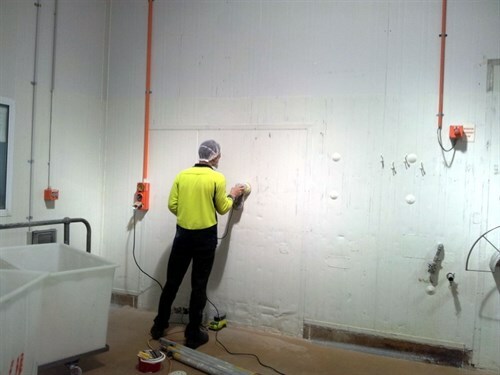 The condition of some areas of the Poly Panel wall claddings was damaged and in need of repair work, this would come after the cleaning but before painting work commenced. Our teams are available 24 hours, 7 days a week and 365 days a year to assist our clients with their maintenance needs – that works in with their shutdowns and maintenance closures. 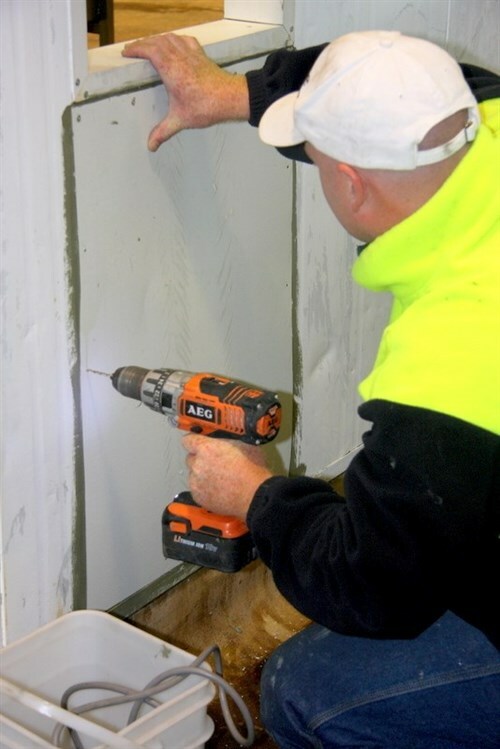 The 24 hour nature of our work and our service is real – our work revolves around our client’s production schedules. For us, this level of service and commitment is paramount. Find our more about how we can provide answers to your problems. To counter the low temperatures and moisture the plant engineers turned off the chillers, a logical and needed step in the equalising of temperature. In addition, two large venting fans were set up in the ceiling to circu­late air and assist with drying. These fans also removed fumes generated by the chemical cleaning and solvent evaporation from the epoxy paints. Cleaning of the cold surfaces was made easier by using super-heated water. This does a far better job of removing biofilm, grease and grime than standard cold water cleaning. 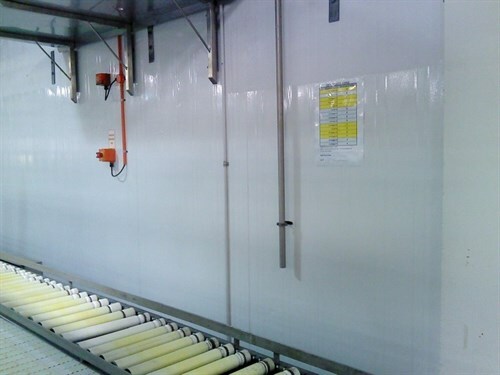 Critical hygiene areas were cleaned using only the superheated water – chemical free process. Radiant heaters were set up in the areas to be painted to ensure rapid drying. 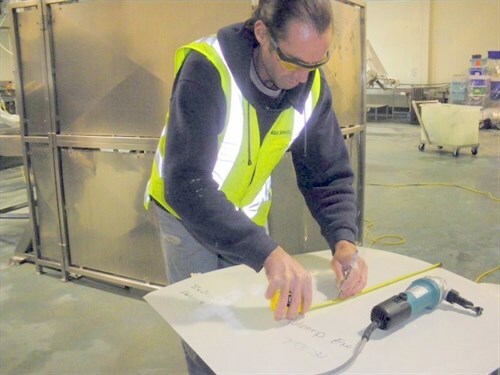 This localised heating is similar to the systems used by profes­sional car painters. Why do we use the same process? Because it delivers the best results. With a culmination of efforts from all the team we are able to deliver amazing results. We find solutions to any situation and it’s our level of commitment to client satisfaction that keeps as at the top of our game. For solutions and delivery on results that works with your production needs and not against it, our team at Unique Services are here to meet your company’s exacting standards of plant, property and equipment maintenance. Put us to the test, whether it be on time, condition or any other operational challenge. We have the solution to make it work and quite possibly, exceed your expectations.